Environmental crimes and their impacts are difficult to detect, quantify and counteract. They stretch across borders which makes it necessary for joint action to combat them at both national and international level. Common rules on these category of crimes in line with EU will make possible for Albania to use effective methods of investigation for such cases as in EU. Environmental damage from both civil and criminal offences needs to be prevented and criminal penalties needs to be dissuasive. Introducing a new Chapter on Albanian Criminal Code with regard to the crimes against environment in line with EU Directive will make the environmental protection more effective. 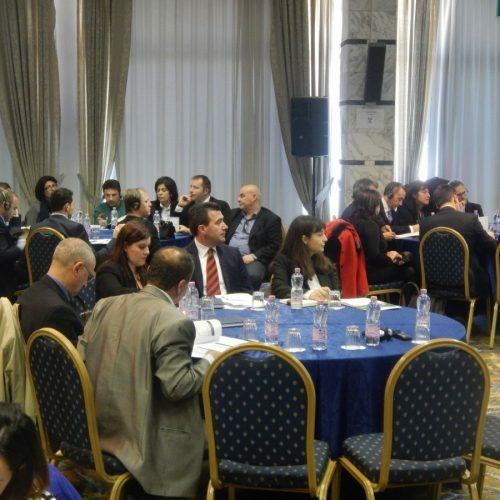 In order to address environmental crime issues, under the auspices of Ministry of Environment and European Union Delegation to Albania, in close collaboration with EU funded projects PAMECA IV and SELEA it was held on 18 March 2014 the International Conference on Preventing Environmental Crime in Albania. 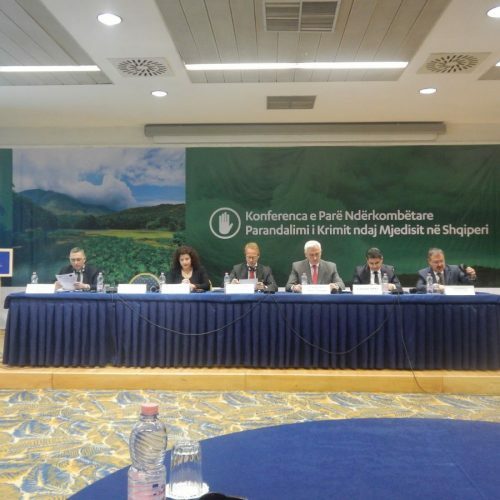 In the Conference participated Mr. Nasip Naço, Minister of Justice, Mrs. Diana Bejko, Deputy Minister of Environment, Mr. Adnan Xholi, Director of Investigations at General Prosecutor Office, Mr. Yngve Engstroem and Mr. Antoine Avignon on behalf of European Union Delegation to Albania. 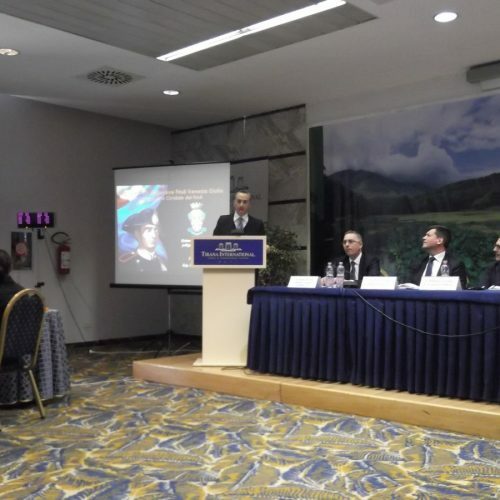 This event was opened by Mr Giorgio Butini Team Leader of PAMECA IV who introduced the aim of Conference as a first step to bringing to the attention of all interested stakeholders: politics, environmental experts, and law enforcement representatives as judges, prosecutors, judicial police officers, the need to improve the Criminal Code of Albania with regard to environmental crimes in line with the EU standards laid down in Directive 2008/99 EC “On the protection of the environment through criminal law”. 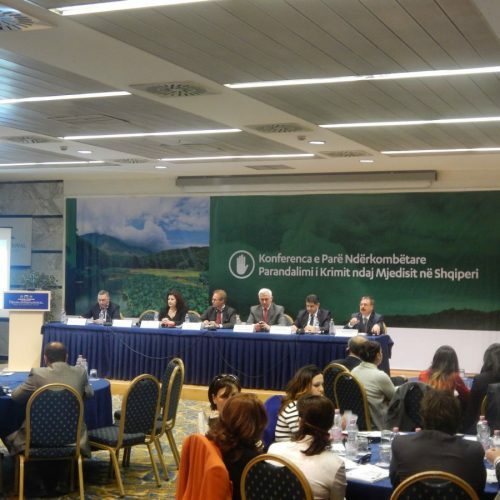 Mr Nasip Naço in his speech emphasised the considerable and significant damage caused toward the environment in Albania. Considering the massive spread of environmental crime, imposing more severe sanctions is necessary in order to fight accurately this phenomenon. Minister Naço assured the commitment of the Ministry of Justice with regard to the initiative to improve the Albanian Criminal legislation. 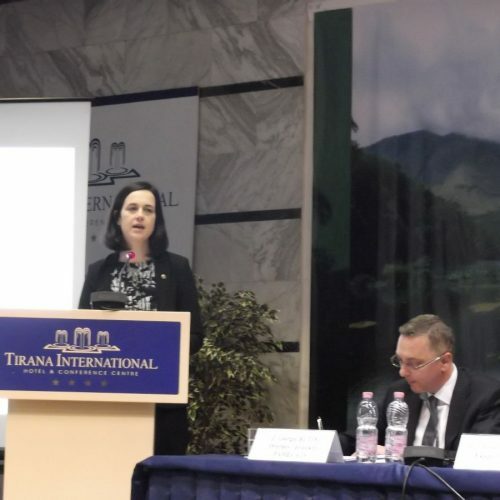 Mrs. Diana Bejko, highlighted that environmental crime and its effect constitute a serious threat for the public health and citizens. 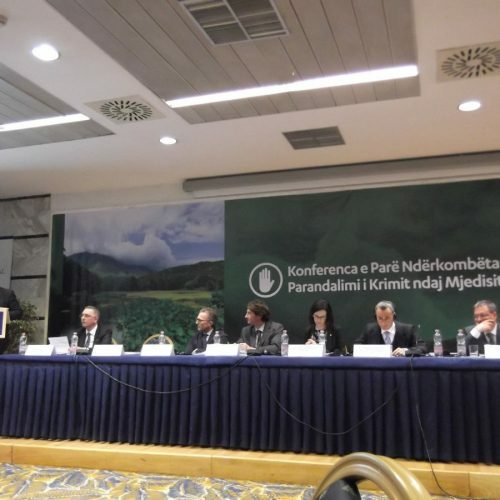 In this regard introducing new criminal offences in the Albanian Criminal Code is not only a necessity within the implementation of International Convections Albania is part of but also a guaranty toward a better protection of environment. Mr. Adnand Xholi on behalf of General Prosecutor Office, besides confirming the maximal contribution of this institution to improve the legal framework on environmental protection referred to this as a challenge which requires an efficient collaboration by all the State structures. Besides the individuals abusing with natural resources, a special order has been given to the district prosecutor’s offices to start investigations ex officio also for responsible officials who do not report the environmental damages. 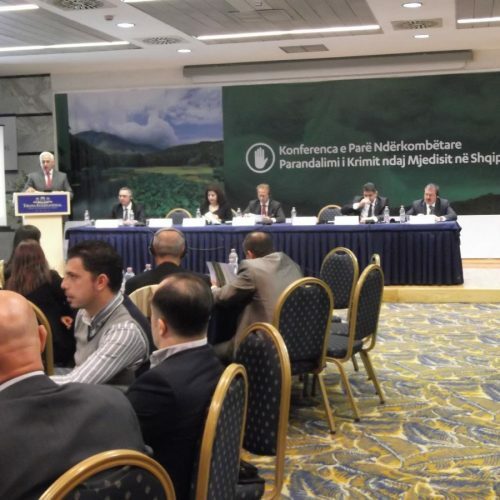 For the representative of European Union Delegation to Albania Mr Yngve Engstroem this Conference constitutes a step in the right direction in addressing the need for a better environmental protection and taking the appropriate legal measures in preventing environmental crime phenomena. 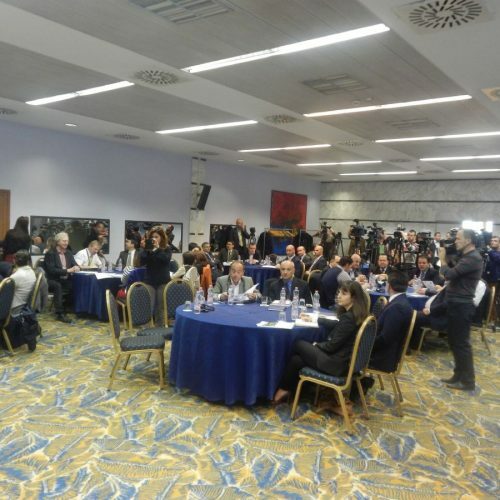 Distinguished international experts Mr. Domenico Airoma, Deputy Prosecutor of Naples, Mr. Pasquale Starace, judicial police officer, Mr. Giovanni Gordani Legal Expert of SELEA gave an important contribution to the conference from the EU best practices point of view. A presentation on the environmental protection in the light of the Directive 2008/99 CE illustrated by Italian experience was made by Mr. Domenico Airoma. In his presentation Mr. Airoma pointed out the need to establish a clear distinction between administrative rules and criminal provisions and imposing effective and dissuasive sanctions in line with Directive 2008/99 in amending the relevant provision of the Albanian Criminal Code on crimes against the environment. 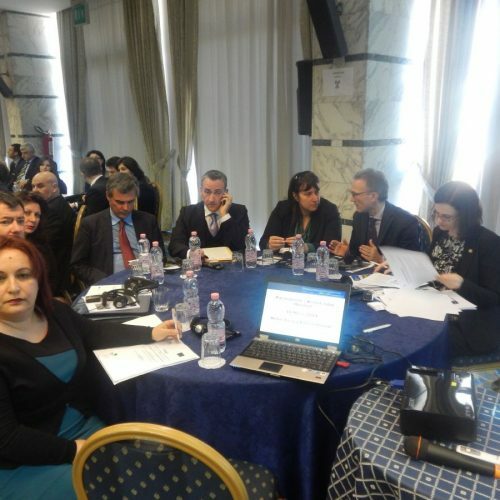 Mr. Giovanni Giordani, Legal Expert of SELEA made an introduction of the Directive 2008/99 addressing the need to transpose it into Albanian Criminal Code in order to ensure a better and a contemporary protection of environment. Mr. Pasquale Starace, Judicial Police Officer from Italy focused on the technical and operation aspects in his presentation by giving an overview on the competences and activities performed by judicial police in Italy in conducting environmental crime investigations. Dr. Therese Shryane in the capacity of INTERPOL representative made a presentation on tools, programmes and services offered by this agency and its role in the fight against environmental crime worldwide. Mr. Paolo Baca, Team Leader of SELEA concluded the Conference, considering it as an important starting point and initiative to discuss on the environmental crime with the particular reference to amending the criminal domestic legislation, given the sensitivity of issues related to environment and the importance of its values to the whole community.